We consider the environment in every step from production to delivery. We do our part for the environment by only making products to order. This means no products are stored in a warehouse or thrown out unnecessarily. Every purchase at Photowall supports our work with Vi Agroforestry, a Swedish development cooperation organisation. Together with Vi Agroforestry, Photowall plants around 5000 trees every year in the area surrounding Lake Victoria in East Africa. Vi Agroforestry plants trees and crops at the same time, which returns the natural fertility to ravaged fields and puts nutritional food on tables. The trees also improve the local climate and access to water. 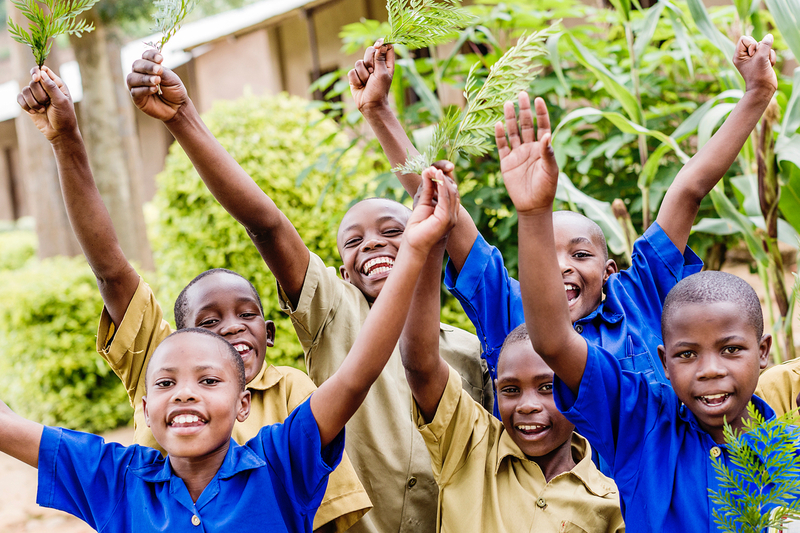 Planting trees improves farmer yields and family incomes. The trees provide firewood, lumber, animal fodder and fruit. Visit the Vi Agroforestry website, where you can read more about Vi Agroforestry’s environmental efforts and also help plant more trees.